Gene Evans comes from a sports oriented family blessed with athletic talent. Brothers Bennie and Clifford were both accomplished performers. Sister Barbara married a golfer and ball player. Mom and Dad left their imprint on the youth of the area through their involvement with the Ware County Recreation Department during its formative years. Gene lettered in football in 1947-48-49. The 48 and 49 teams both finished with a record of seven wins and only three losses against stiff opposition. Gene was the captain of the 1949 Canines and was also an All-Region choice at right half back. The halfback option play was one of Gene’s specialities. Always a dangerous runner, he was also adept at throwing the ball. His execution of the option play resulted in many completions and a number of touchdowns during his high school career. Memorial Stadium was dedicated in the fall of 1949. In the first game played there, Waycross upset a strong team from Savannah High School. The Albany Touchdown Club honored Vasa Cate and Gene Evans, the following week, as coach and back of the week respectively. Coincidentally, the speaker at that meeting was Red Grange. Gene earned four varsity letters in baseball from 1947 through 1950. He played second, third and short-stop all with equal ability and skill. Renowned as a clutch hitter, Gene was also a smart base runner. The 1949 team barely missed the state playoffs. After winning their first eight games, they played Albany for the region championship. It took the Indians 11 innings to eke out a 6-5 victory. Along with Jimmy Joyce, a teammate, Gene was selected to play for the South All-Stars in the North-South All-Star baseball game in 1950. He spent his summers as an outstanding member of the Local American Legion baseball team. After high school, He played for Fats Taylor’s ACL Red Sox semi-pro baseball team. Gene was a valuable letterman on the 1948 and 1949 Waycross track teams. 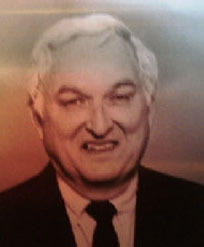 He was a member of the 8th District Relay champions in1948. The 1949 team earned a second place finish at the state track meet as the runner-up to Marietta. Gene coached many of the Wacona teams in the Recreation League while his sons were participating in that program. He retired from CSX Transportation System and is an active member at Trinity United Methodist Church. Gene is married to former Maureen Robison. They have two sons, Mike and Les. A third son, Tim, is deceased.